Ellie B aka Dogamous Pyle took this trait with her from The Little Bitty to a Bitty Better in the Liverpool neighborhood of Galeville. 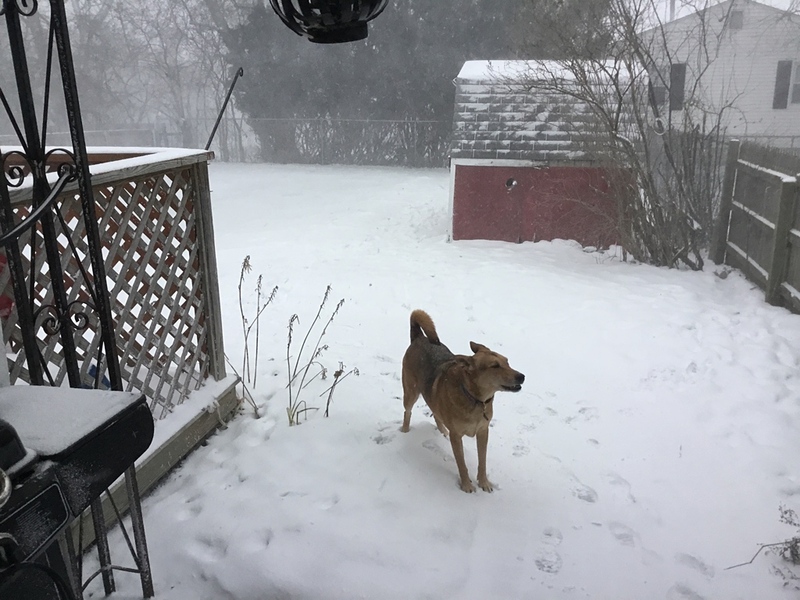 It was obvious to me when I made my way home from my job at the Liverpool Public Library through the squall late Wednesday afternoon and accompanied my cherished rescue mutt into the backyard. Elle B aka Dogamous Pyle in the snow. She smiled at me as I stood under the side porch overhang with my iPad Pro. The snow flew and blew on Wednesday. 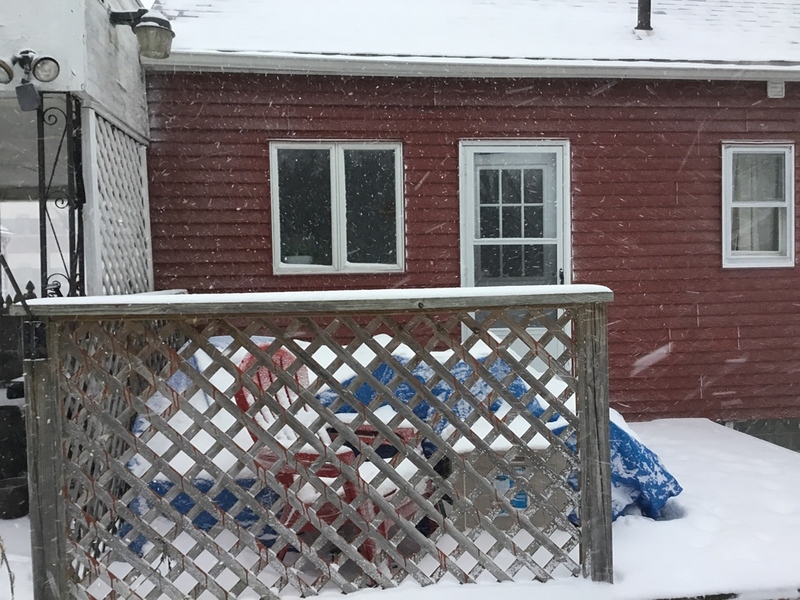 She coaxed me out into the great outdoors to share that feeling of joy as the snow fell upon us as we looked at our pretty new house. Not on the pool cover. And then she ran, back and forth, laps around the in ground pool, ears pinned back by the real wind and the rush she was causing her own self. Having enough, she led the way inside to wait for my dear wife Karen to get home from work. Have you ever had a dog run laps around your yard in the snow? Did you ever have a dog that tried to coax you out in the snow with it? Which is your favorite photo, and why? Most dogs love to romp around in the snow. Our little Miss MoneyPenny leaps through our yard of it (over her head) like a gazelle, it’s so cute! I’d love to see Miss MoneyPenny get through snow over her head, Kathryn Grace. A gazelle. Perfect image to me from that one word. Happy day to you, my friend.